Off in Search of Adventure! My new circus show, ready to go on the road! It has been a wonderful busy year here at Wit’s End Puppets and I hope that anyone who stumbled upon this blog and our work has enjoyed a look at our process and stories. Now it’s time to take a little break. For the next two months, I will be traveling (mostly to places where I don’t speak the language), in search of puppets and adventure. This blog is going on hiatus while I am gone (although Genna or Pat may possibly be persuaded to write a guest post now and then). When I get back, there will be photos, stories and many new ideas. But for now, enjoy the summer! 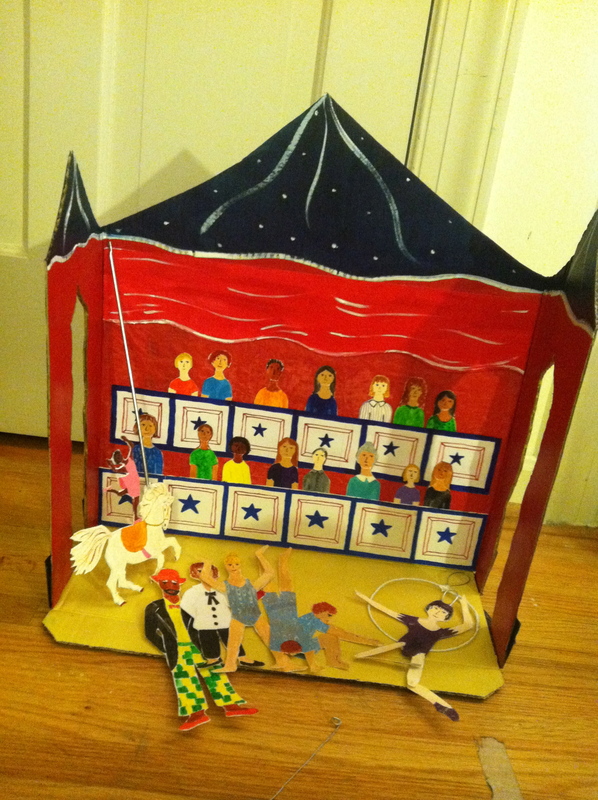 This entry was posted in World and tagged blog hiatus, puppetry, summer plans, travels, world by ccbooks. Bookmark the permalink.